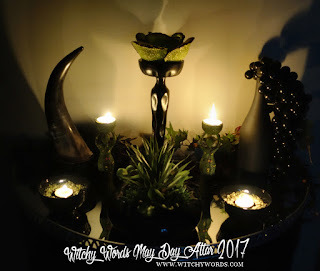 Witchy Words: A Year of Witchcraft Sabbat Altars 2017 Edition PLUS Comparison to 2012-13! 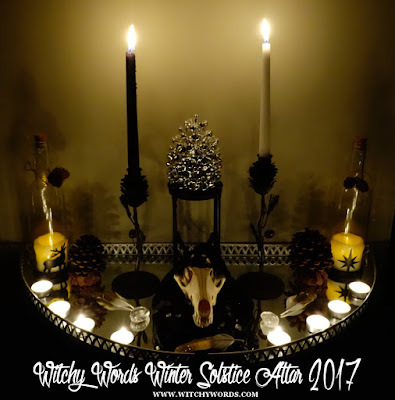 A Year of Witchcraft Sabbat Altars 2017 Edition PLUS Comparison to 2012-13! A comparison of 2012-2013 and 2017! 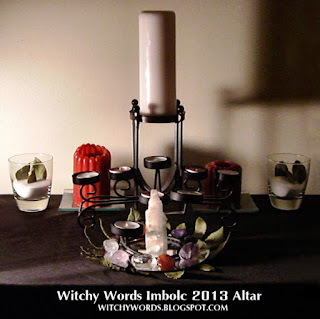 To view the February Eve/Imbolc 2013 altar, click here! 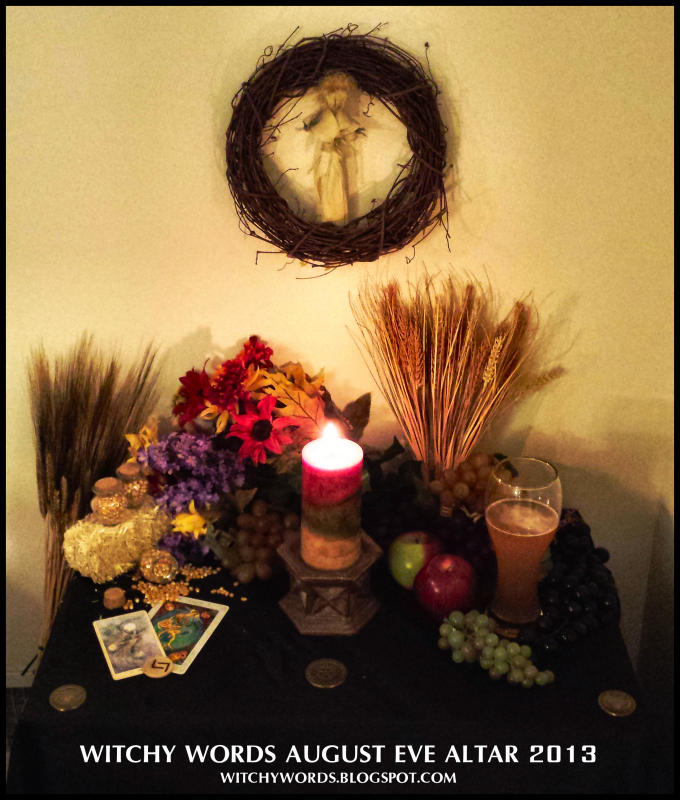 To view the February Eve/Imbolc 2017 altar, click here! 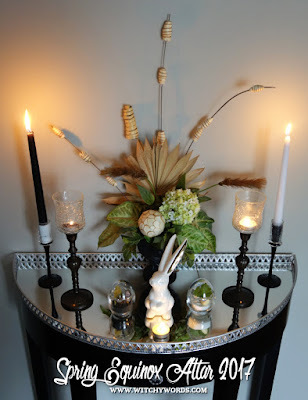 To view the Spring Equinox/Ostara 2013 altar, click here! 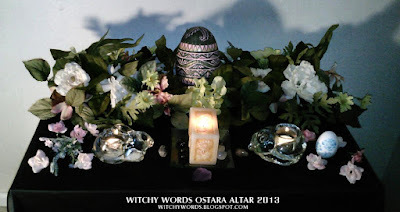 To view the Spring Equinox/Ostara 2017 altar, click here! To view the May Day/Beltane 2013 altar, click here! To view the May Day/Beltane 2017 altar, click here! 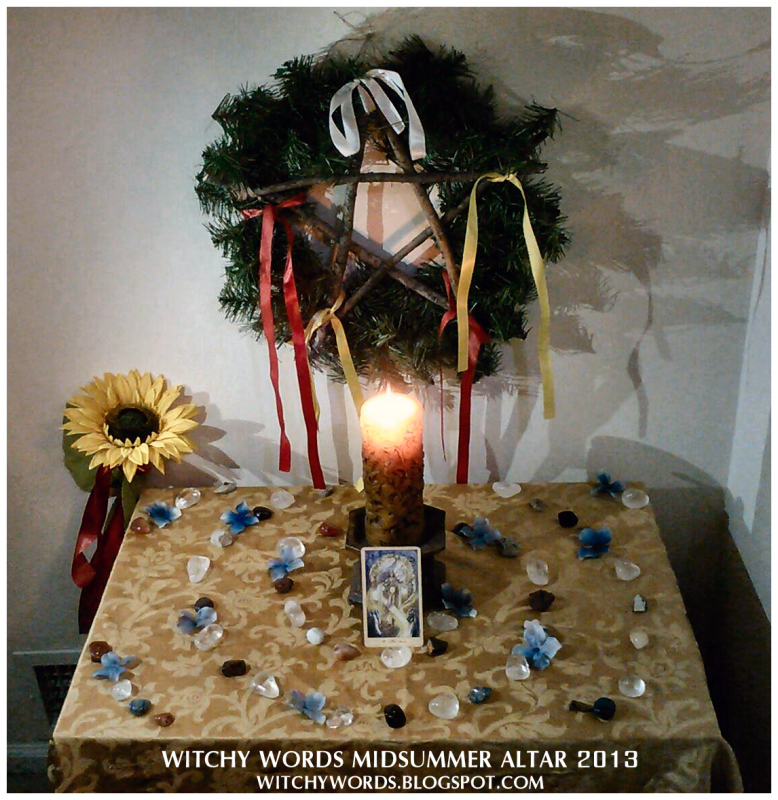 To view the Midsummer 2013 altar, click here! 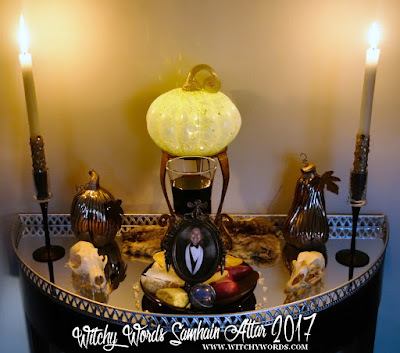 To view the Midsummer 2017 altar, click here! To view the August Eve 2013 altar, click here! 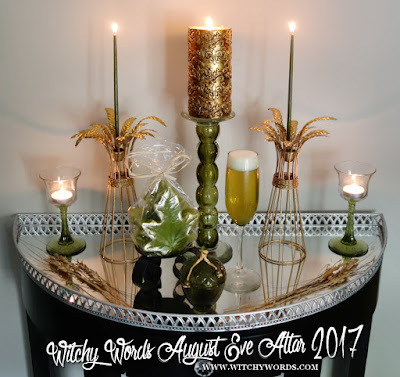 To view the August Eve 2017 altar, click here! 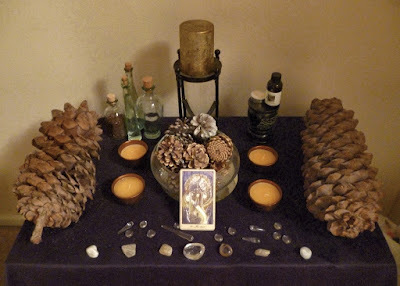 To view the Autumn Equinox 2012 altar, click here! 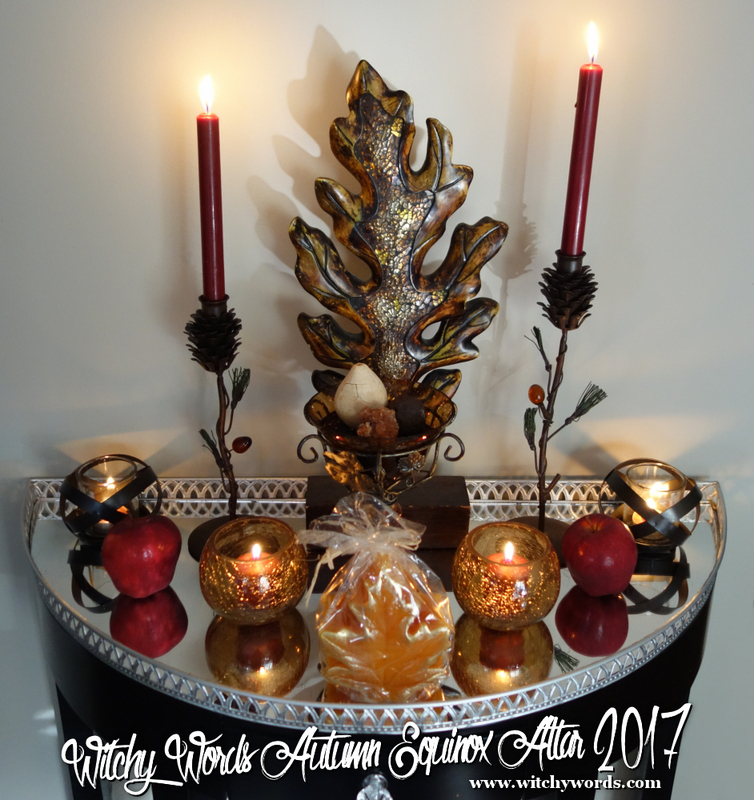 To view the Autumn Equinox 2017 altar, click here! 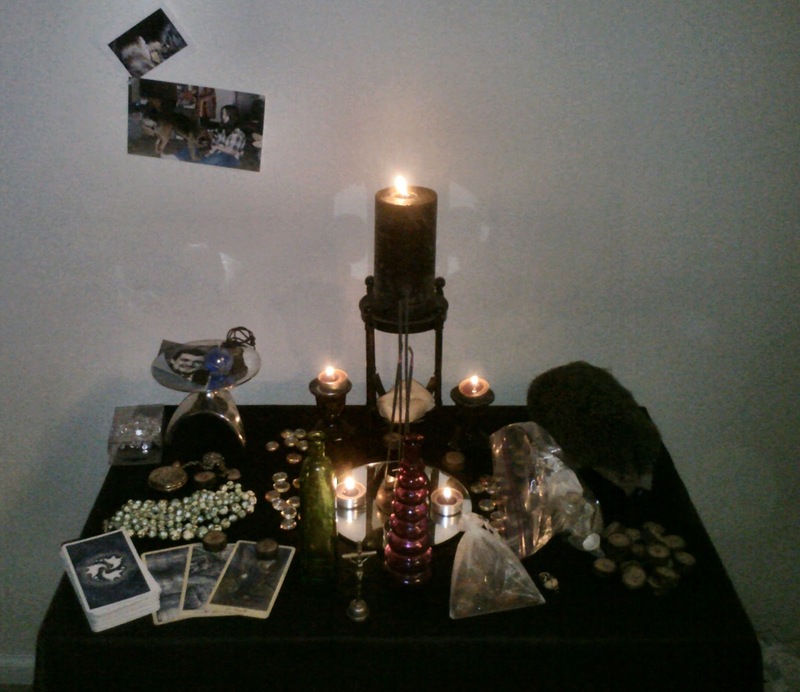 To view the Samhain 2012 altar, click here! To view the Samhain 2017 altar, click here! To view the Winter Solstice 2013 altar, click here! To view the Winter Solstice 2017 altar, click here! Your altars are always so elegant! I like seeing the comparisons for different years. Thank you! I'm pretty new to this. Can you tell me when an alter is set up, as in dates. 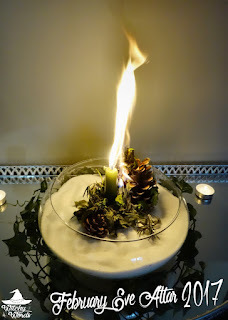 Yours are very lovely. 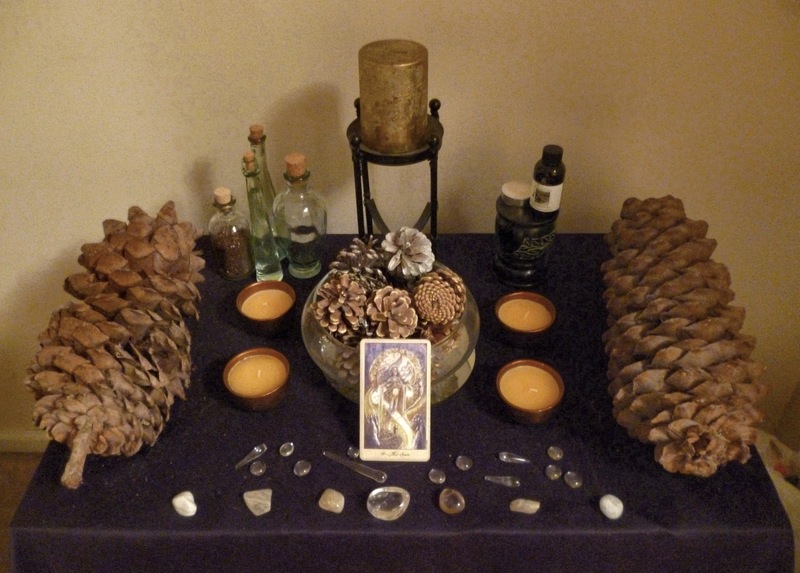 Thank you so much, Katherine! 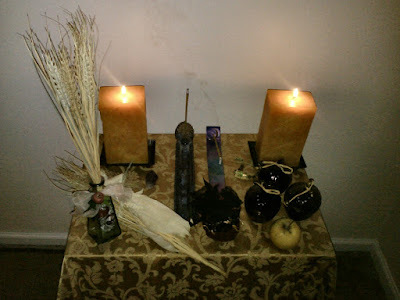 There are no particular dates to set up an altar for any sabbat. 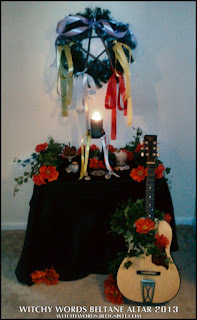 You can do it sometime before, as part of your ritual or celebration, or during the weeks after. 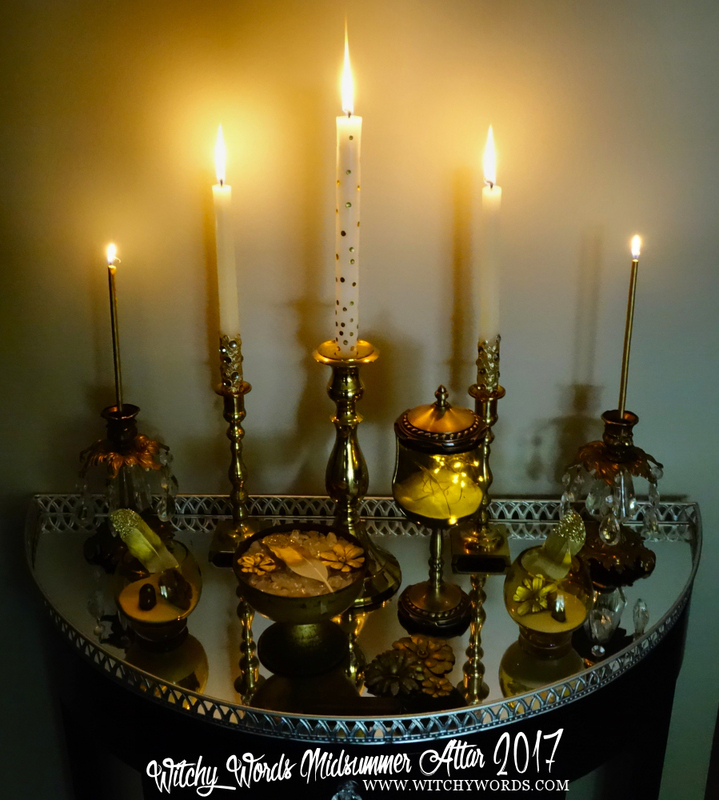 Anything goes!